Come and see us! Lots to do and see. You are welcome to taste our spirits and have a cocktail. We have featured cocktails and our spirits are premium. They can be sipped neat. You can tour the distillery and see the mash tun, the fermenters, and the continuous, pot, and rectifying stills. The 7000 gallon tank stores our spent stillage which is a treat for a herd of organic cows in Elk Grove. You can see how we distill 25 times. The copper is there not only to look fantastic but to remove sulfur compounds from the spirit. We may be mashing, fermenting, distilling or barreling. Bottling day is always a buzz of activity. Want to help? We are family friendly. We have a large area for the kids right in the tasting area. Our popcorn machine can crank up on request, just like at the movies. The best. We are proud of our sustainability story. Our Klamath Basin grower leaves a fourth of his grain on the ground for the birds of the Pacific Flyway and we have a nice display about that. We display the National and State Wildlife refuges where we will donate 1% of our profits to help maintain habitat. The basin is home to the largest colony of bald eagles outside of Alaska. 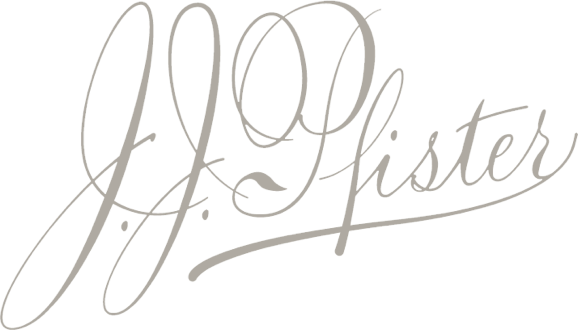 The JJ Pfister museum is our family history. You can see many swimsuits, the signature garment knitted by JJ made in 1905. These swimsuits missed the 1906 earthquake because they were on tour that April and are remarkably preserved. There is a Panama Pacific Exposition display with a rich history of that event. JJ Pfister won an honor medal there which you can see along with a picture of their booth. We designed the tasting room after that booth. The Liberty Bell was there but had to go into an earthquake proof vault each night! Come and visit. It is always a treat.